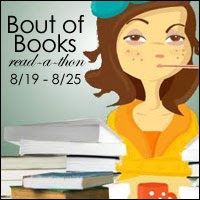 It is day five of Bout of Books and time for another fun challenge! Today's challenge is hosted by The Space Between. G. White Chocolate (White Chocolate Moments by Lori Wick)...This one was tricky. Help! I'm being held captive in Dakota , by Lord Paratore! It is very Glamorous here! He is demanding Eight Preacher (s) to set me free! I have just discovered that Carl Richards was captured too! On second thought, please send White Chocolate, and don't worry if you don't hear from us for awhile! That was fun (and a little tricky)! What would your answers have been?